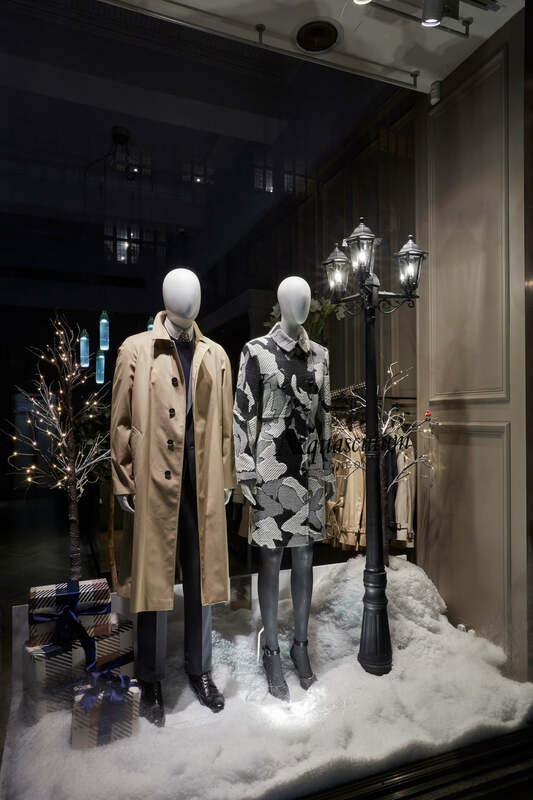 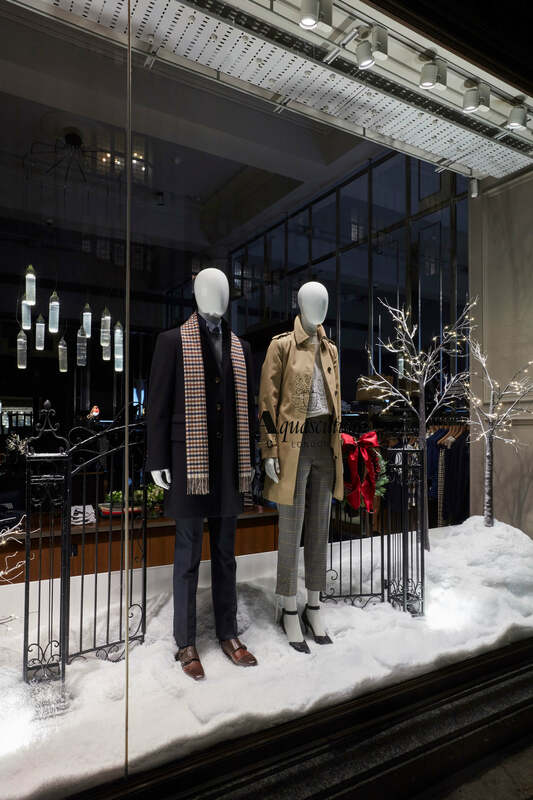 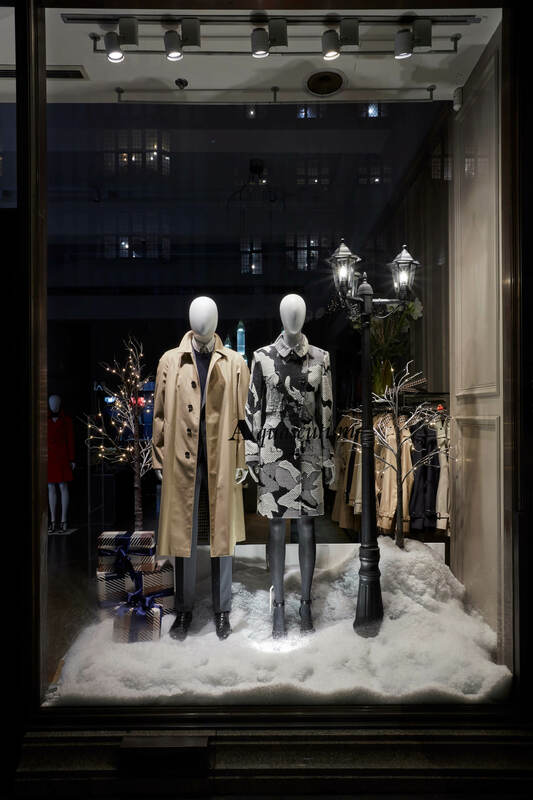 Hello Flamingo had the pleasure of working again with the lovely team at Aquascutum, on their Christmas 2017 window display in their Great Marlborough Street store. 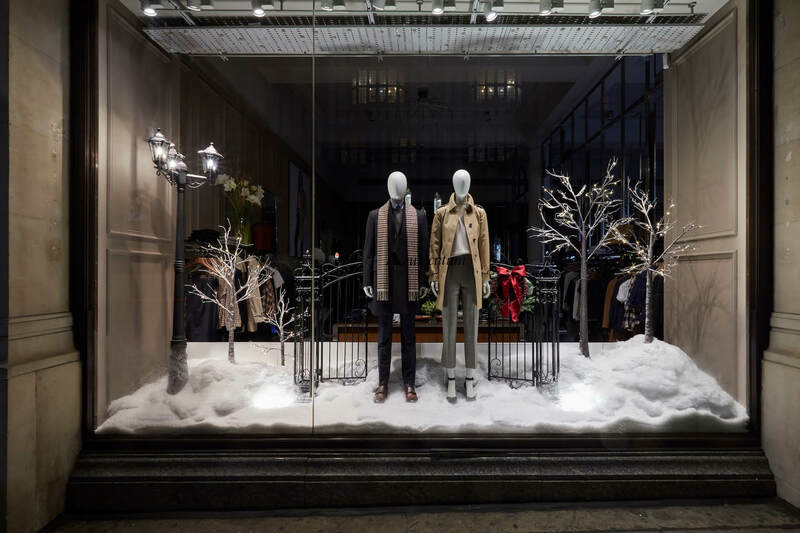 A wonderfully wintry scene was set across the store with an icy effect on the windows and snow filling the window. 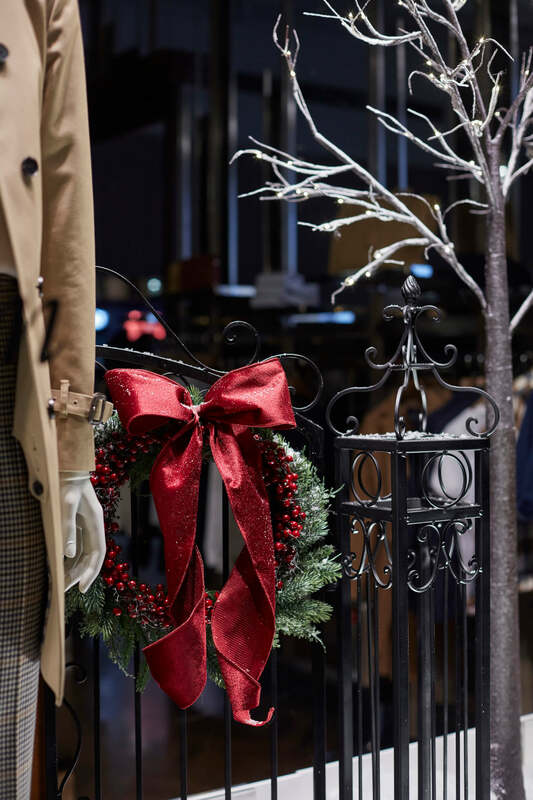 Wrought iron gates with beautiful Christmas wreaths, illuminated lamp posts and frosty trees with lights added to the dreamy feel of the window. 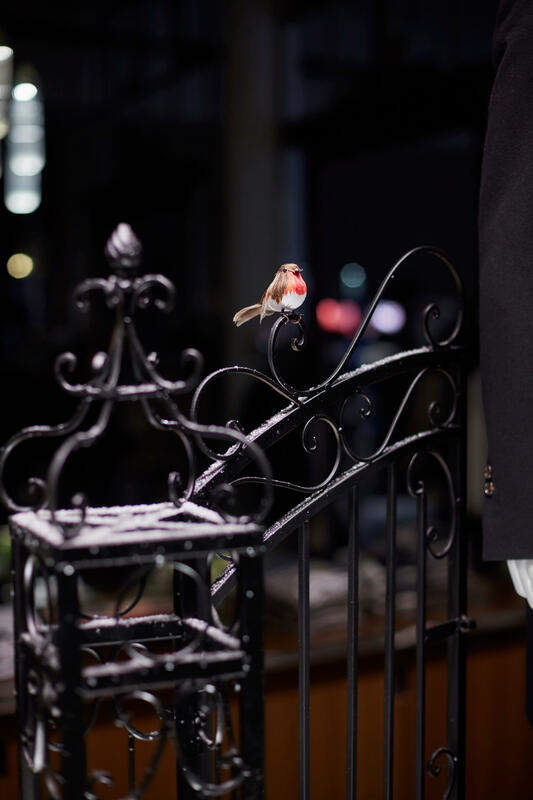 Little details such as tiny robins sitting on the gates and trees were perfect additions to complete the festive feel.